Russia is preparing to start negotiations to free two of its sailors captured by pirates last weekend. The captain and chief engineer from the ship North Spirit were kidnapped in a port in Cameroon by gunmen. The vessel's owner says they are now being held in Nigeria. 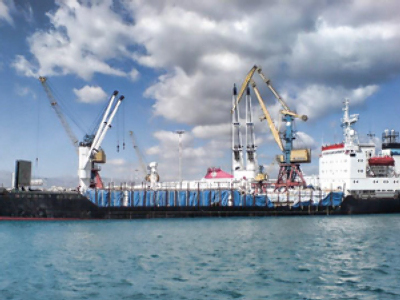 The kidnapping happened about a week after a Russian navy ship freed another vessel, which had been seized by pirates in the Gulf of Aden. 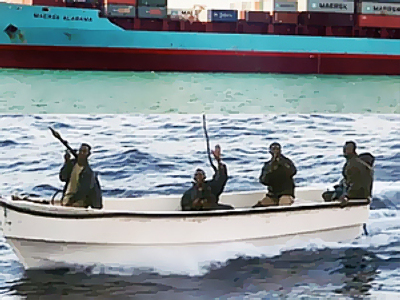 On May 5, the Russian oil tanker Moscow University was captured by pirates off the coast of Somalia. As the crew barricaded themselves in, the Russian warship Marshal Shaposhnikov came to the rescue. Navy commandos engaged the pirates in a gunfight and boarded the ship, defeating the pirates without loss of hostages or navy personnel. But despite this success, there have been no celebrations aboard the Marshal Shaposhnikov. This Russian warship is one of dozens patrolling the Gulf of Aden. Over the past two years the firepower, resources and media attention dedicated to fighting piracy in the region has been stepped up. But in individual operations are a drop in the ocean, and on the whole the pirates have not been scared off. Last year there were fifty hijackings, with the same number predicted for 2010. In order to avoid putting the hostages at risk, governments and companies end up paying multi million-dollar ransoms. Nearly lawless, Somalia remains one of the poorest countries in the world. 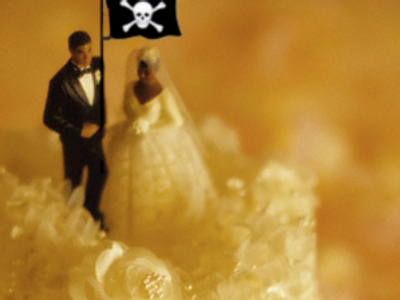 The success of the pirates is attracting more people into seafaring gangs. Russian commandos say their enemies have become better trained and equipped. “The pirates are drugged up and unpredictable. We have found out from them that they used to be offered $50 for each successful expedition. Now they are being offered $300,” says special team commander Lt. Colonel Andrey Ezhov. Another problem is what to do with the pirates once they are captured. Since there is no chance they can be tried in Somalia, some captors have flown them to their own countries, or sent them to neighboring states. Marshal Shaposhnikov's captain chose a different solution – he released the captives at sea with a supply of water, but no weapons or navigation equipment. Commanders say that communication between international naval forces has improved greatly. But the pirates have responded. “The transport corridor is chock-full of warships. 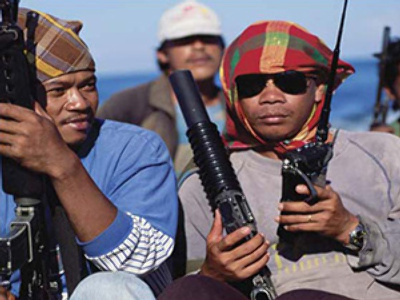 But the pirates have simply moved further to the East, where we cannot monitor them,” said Captain Ildar Akhmerov, a Russian Naval Task Force Commander. With 25,000 ships coming through the area each year, piracy will remain lucrative and hard to avoid. And in order to safeguard a key economic route, more extensive measures may be required from the world's powers.